Rebuilds the heart chakra and emotional body after the release of an old trauma. Refills the heart with love, self-love and light after the release of past and present life pain. Teaches new trust and heals the inner child. Soothes and offers hope. Pink Calcite has a trigonal cystal system and is in the mineral class of carbonate. It is formed from solutions containing calcium through sedimentation. Its lovely, pale pink, coloring comes from minute amounts of manganese that seeped into the mix. These beautiful pink shades are mainly found in Brazil and India. Their prominent banding has come from changes in their sedimentary formation process. The white bands are from quickly crystalized deposits high in calcium, while the almost clear, pink tinted bands formed in a much slower manner with the minute parts of manganese which results in their translucent appearance. The slower formation has also added to a more stable formation of the crystal which allows for this type to be polished to a high gloss. 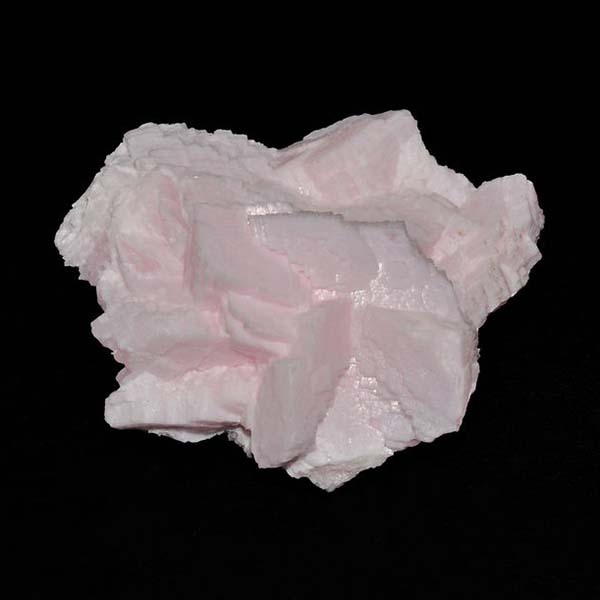 As with most gemstones, Pink Calcite is best used when held or laid upon the body. When laid upon the chest or heart area it provides a feeling of grounding and centering. Pink Calcite aids our discovery of the love for humanity. It encourages us to be helpful, open and attain peace in a gentle, soft manner. It also aids us in remembering our state of "perfection." Pink Calcite provides empathy and a proper sensitivity to others needs. Pink Calcite helps to alleviate worry, especially if old traumas have been released. 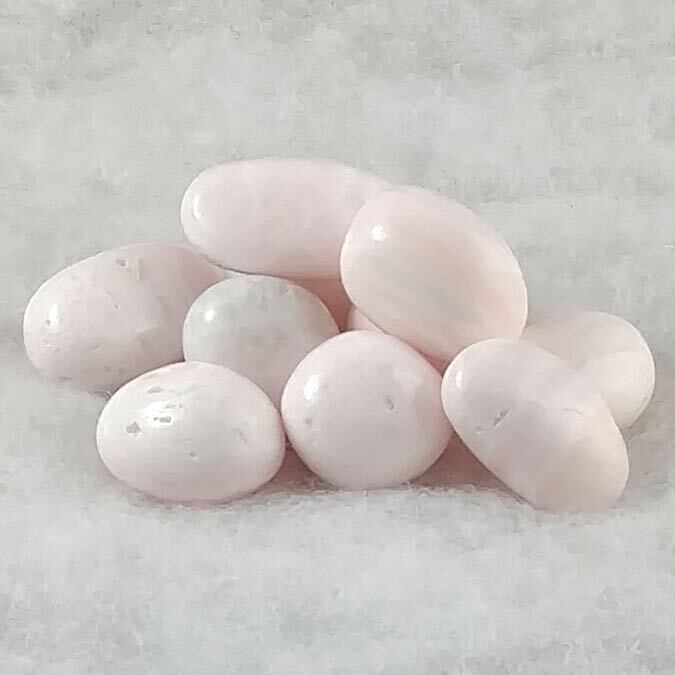 Pink Calcite, like the Green variety, can aid in reducing high blood pressure and recovering from a heart attack by stimulating proper circulation. Pink Calcite benefits all signs. It has a Receptive Energy, its Planet is Venus and its Element is Water. Pink Calcite is currently being used in love rituals, but not the mate attracting kind. Rather, to promote love and harmony with Mother Earth and for mankind as a whole. There is some literature that suggests placing a piece under a quartz pyramid for a short time to amplify the Calcite's abilities. While I have not experimented with this, it would seem that it would work since Quartz does amplify the energy of any stone it is placed with. Although, if I were to super charge something, I think using a Quartz point or generator may be more focused.